Thanksgiving Day is a harvest festival celebrated primarily in Canada and the United States. Traditionally, it is a time to give thanks for the harvest and express gratitude in general. While religious in origin, Thanksgiving is now celebrated by religious and secular people alike. Inasmuch as the great Father has given us this year an abundant harvest of Indian corn, wheat, beans, squashes, and garden vegetables, and has made the forests to abound with game and the sea with fish and clams, and inasmuch as He has protected us from the ravages of savages, has spared us from pestilence and disease, has granted us freedom to worship God according to the dictates of our conscience; now, I, your magistrate, do proclaim that all ye Pilgrims, with your wives and little ones, do gather at ye meeting house, on ye hill, between the hours of 9 and 12 in the day time, on Thursday, November ye 29th of the year of our Lord one thousand six hundred and twenty-three, and the third year since ye Pilgrims landed on ye Pilgrim Rock, there to listen to ye pastor, and render thanksgiving to ye Almighty God for all His blessings. William Bradford. In 1863, Abraham Lincoln declared two Thanksgivings. One was held in August. The second, held in November, was to give thanks for the nation's blessings. This fall celebration caught on and has been a tradition ever since. Thanksgiving provides a formal context in which to consider the instances of kindness that have enlightened our lives, for moments of grace that have gotten us through when all seemed lost. These are fine and sentimental subjects for contemplation. We have come far on our American journey since that early Thanksgiving. In the intervening years, we have lived through times of war and peace, years of poverty and plenty, and seasons of social and political upheaval that have shaped and forever changed our national character and experience. As we gather around our Thanksgiving tables again this year, it is a fitting time to reflect on how the events of our rich history have affected those we care about and those who came before us. As we acknowledge the past, we do so knowing that the individual blessings for which we give thanks may have changed, but our gratitude to God and our commitment to our fellow Americans remain constant. [Thanksgiving is] my favorite holiday, I think. It's without a doubt my favorite American Holiday. I love Christmastime, Chanuka etc. But Thanksgiving is as close as we get to a nationalist holiday in America (a country where nationalism as a concept doesn't really fit). Thanksgiving's roots are pre-founding, which means its not a political holiday in any conventional sense. We are giving thanks for the soil, the land, for the gifts of providence which were bequeathed to us long before we figured out our political system. Moreover, because there are no gifts, the holiday isn't nearly so vulnerable to materialism and commercialism. It's about things -- primarily family and private accomplishments and blessings -- that don't overlap very much with politics of any kind. We are thankful for the truly important things: our children and their health, for our friends, for the things which make life rich and joyful. As for all the stuff about killing Indians and whatnot, I can certainly understand why Indians might have some ambivalence about the holiday (though I suspect many do not). The sad -- and fortunate -- truth is that the European conquest of North America was an unremarkable old world event (one tribe defeating another tribe and taking their land; happened all the time) which ushered in a gloriously hopeful new age for humanity. America remains the last best hope for mankind. Still, I think it would be silly to deny how America came to be, but the truth makes me no less grateful that America did come to be. Also, I really, really like the food. Population has steadily increased, notwithstanding the waste that has been made in the camp, the siege and the battle-field; and the country, rejoicing in the consiousness of augmented strength and vigor, is permitted to expect continuance of years with large increase of freedom. No human counsel hath devised nor hath any mortal hand worked out these great things. They are the gracious gifts of the Most High God, who, while dealing with us in anger for our sins, hath nevertheless remembered mercy.... - Abraham Lincoln. Population has steadily increased, notwithstanding the waste that has been made in the camp, the siege and the battle-field; and the country, rejoicing in the consiousness of augmented strength and vigor, is permitted to expect continuance of years with large increase of freedom. No human counsel hath devised nor hath any mortal hand worked out these great things. They are the gracious gifts of the Most High God, who, while dealing with us in anger for our sins, hath nevertheless remembered mercy. It has seemed to me fit and proper that they should be solemnly, reverently and gratefully acknowledged as with one heart and one voice by the whole American People. I do therefore invite my fellow citizens in every part of the United States, and also those who are at sea and those who are sojourning in foreign lands, to set apart and observe the last Thursday of November next, as a day of Thanksgiving and Praise to our beneficent Father who dwelleth in the Heavens. During the "first Thanksgiving" at Plymouth, Wampanoag Indians - including a Patuxet Indian named Squanto - helped teach Pilgrims how to farm, fish, and hunt and shared the bounty of that first feast. A tradition that continues today and Jesus and 9/11. - Patton Oswalt. During the "first Thanksgiving" at Plymouth, Wampanoag Indians - including a Patuxet Indian named Squanto - helped teach Pilgrims how to farm, fish, and hunt and shared the bounty of that first feast. A tradition that continues today and Jesus and 9/11. With feasts, and off'rings, and a thankful strain. - Alexander Pope. Marcie: Don't feel bad, Chuck. Peppermint Patty didn't mean all those things she said. Actually, she really likes you. Charlie Brown: I don't feel bad for myself, I just feel bad because I've ruined everyone's Thanksgiving. Marcie: But Thanksgiving is more than eating, Chuck. You heard what Linus was saying out there. Those early Pilgrims were thankful for what had happened to them, and we should be thankful, too. We should just be thankful for being together. I think that's what they mean by 'Thanksgiving,' Charlie Brown. Henry David Thoreau, in a letter to Harrison Gray Otis Blake (6&7 December 1856), as published in The Correspondence of Henry David Thoreau (1958), p. 444; also published in Letters to Various Persons (1865), p. 145, but with a line within this appearing in what has become its most quoted form as "I am ready to try this for the next ten thousand years, and exhaust it." WHEREAS it is the duty of all nations to acknowledge the providence of Almighty God, to obey His will, to be grateful for His benefits, and humbly to implore His protection and favour; and Whereas both Houses of Congress have, by their joint committee, requested me "to recommend to the people of the United States a DAY OF PUBLICK THANKSGIVING and PRAYER, to be observed by acknowledging with grateful hearts the many and signal favors of Almighty God, especially by affording them an opportunity peaceably to establish a form of government for their safety and happiness." Quotes reported in Hoyt's New Cyclopedia Of Practical Quotations (1922), p. 785-786. Her hymns of high thanksgiving still. 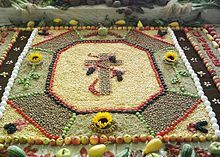 Great as the preparations were for the dinner, everything was so contrived that not a soul in the house should be kept from the morning service of Thanksgiving in the church. The early and the latter rain!